Ill-informed chatter continues to dominate the airwaves when it comes to California public pensions. It’s a big, complex and critical issue for government at all levels in the Golden State. What makes debate so distorted is that public pensions actually differ from agency to agency — and advocates on the issue often talk past each other. Pension critics often point to outrageous abuses as if they were typical. On the other hand, pension defenders often cite current averages that understate long-term costs. All this fuels the typical partisan gridlock that Californians lament yet seem powerless to change in our state. Increasing the retirement age from 55 to 67 (with a lower age to be spelled out for public safety workers). Such programs should be portable across all public agencies to sustain a competent cadre of California public servants. Our goal was to ensure the public pension system is reformed, instead of destroyed. Our reform package mirrors Brown’s calls for a hybrid system, raising retirement ages and increasing the portion of pension costs borne by employees. We also backed his bid to base retirements on the top three highest years of pay, curbing the abuses that often artificially raise final year salaries to “spike” pension pay-outs. Typical of California’s other challenges, the issue faces long odds in the Legislature and uncertain fate at the ballot box. 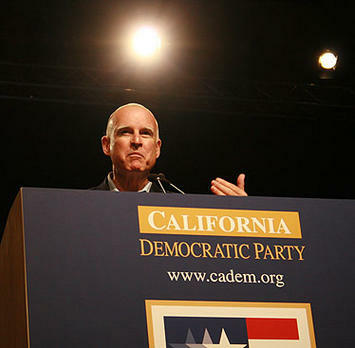 Partisan Democrats are leery of crossing unions by embracing Brown’s package. Partisan Republicans are demanding more far-reaching changes. Brown hopes to bridge the differences to win majority support by drawing on moderates in both parties. “He hasn’t riled up one side or the other,” noted Field Poll director Mark DiCamillo. “He’s managed to strike the middle ground on a very polarizing issue.” Unfortunately, moderates are hard to find in Sacramento. That leaves the roll of the dice that comes with ballot initiatives. Since it takes millions to bankroll a successful ballot measure, few sensible measures get far without support from well-heeled interests. In the eternal game of chicken that goes on in Sacramento, the Legislature keeps one eye on those special interests. About the only hope for reform is if a majority is worried that failure to act might spur an expensive ballot box war and an even worse outcome. This issue might be the exception, however. Public outrage is real. So is the need for reform. In Ventura, we took an early lead on this issue, first with our Compensation Policies Task Force, then union contracts that established a lower benefit and later retirement age for new hires and increased contributions from all employees of at least 4.5% of their pay. But real reform to level the playing field can only come at the State level. Before this issue devolves into another ballot box catastrophe that radically oversimplifies the issues to a “yes” or “no” choice on an initiative bankrolled by special interests, legislators in both parties need to come together on sensible reform. The Governor has put such a program on their desks. Reasonable people can differ on the details. But only unreasonable people want all-or-nothing victories. This is an issue that both sides should be willing to compromise on. The only way that will happen is if voters push both parties toward sensible compromise in the year ahead! Submitted by ciptogembelz on Thu, 09/05/2013 - 11:06. Submitted by Richar1122 on Sat, 06/08/2013 - 06:32. Submitted by seoozoom on Fri, 08/15/2014 - 14:44. I agree with the previous speakers, listen to music here download youtube playlist and be happy! Submitted by ryan1122 on Wed, 05/29/2013 - 10:22. Submitted by ryan1122 on Wed, 05/29/2013 - 07:42. Submitted by ExExZonie on Mon, 12/26/2011 - 11:19. From what I've seen of Jerry Brown, he will not do anything the unions don't like. He is owned lock, stock and barrel by them. I moved away from the state last year and I'm not sorry, although I miss my friends in Fresno. The Change We Need - Part II: Will We Sustain The Current Economy, Or Create A Sustainable Economy?